great food and a fun time with the staff with the best view of any restaurant on the island. just watch out for the pesky monkeys who may try to steal your food! 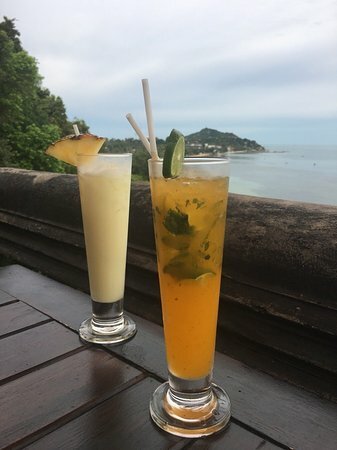 A few delicious cocktails and a papaya salad (a little heavy on the fish sauce) made for a great happy hour and sunset. Incredible views and very friendly staff definitely added to the atmosphere. set inside the la palaise hotel it’s like visiting a mini ankor watt. it took ten years to build and has just recently opened. set up high affords amazing views both ways down the beach. after watching a beautiful sunset we then saw the stars come out and the lights along the coast of ko samui come on. a very magical experience! We came across this restaurant while walking on the street and decided to go in as the pathway was so beautiful! We had the whole place to ourselves as it was slightly raining during the low season. 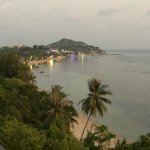 The food was absolutely amazing (we ordered Pad Thai, Massaman Curry, and drinks) and the view to the Haad Ron shoreline was stunning, even at night. I can only imagine how beautiful it is during sunset. 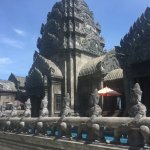 Been to Bayon Restaurant? Share your experiences!